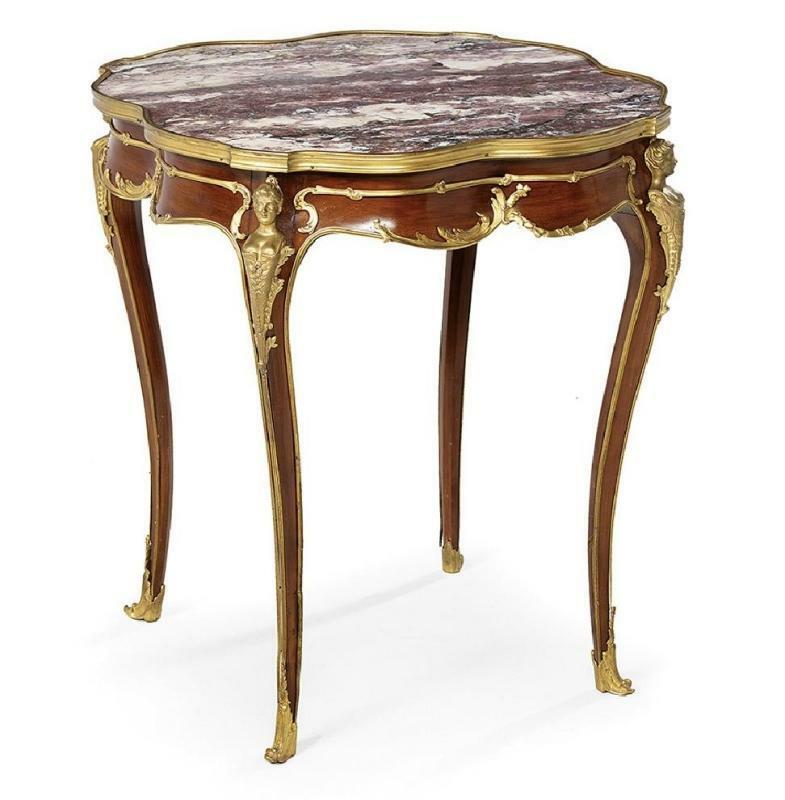 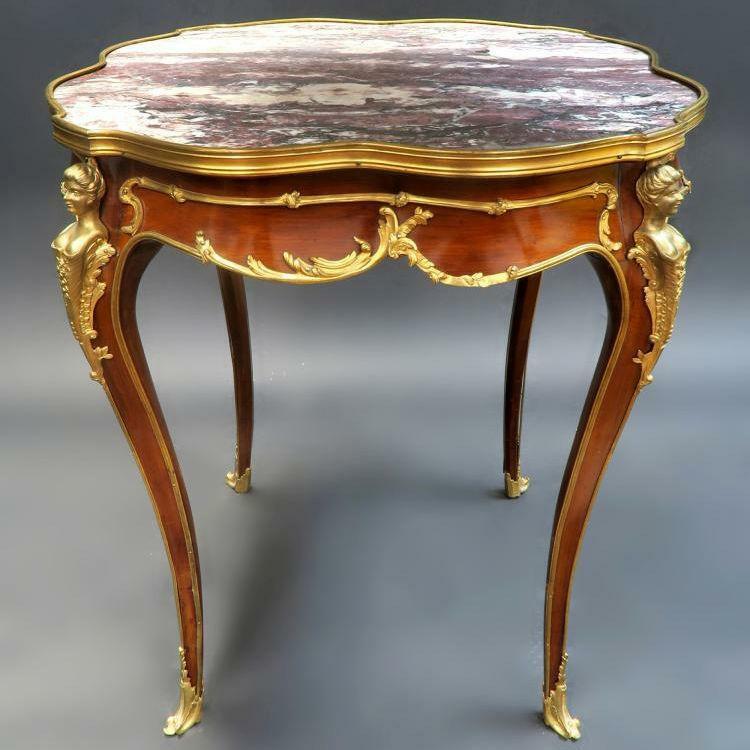 This beautiful bronze mounted side table with marble top, in the Louis XVI style, dates from the late 19th to early 20th century and measures 30 inches tall, 27 inches deep and 27 inches wide. 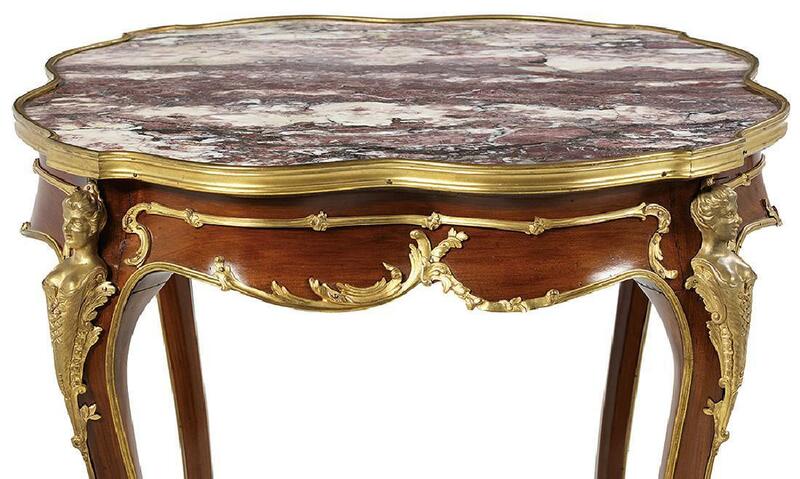 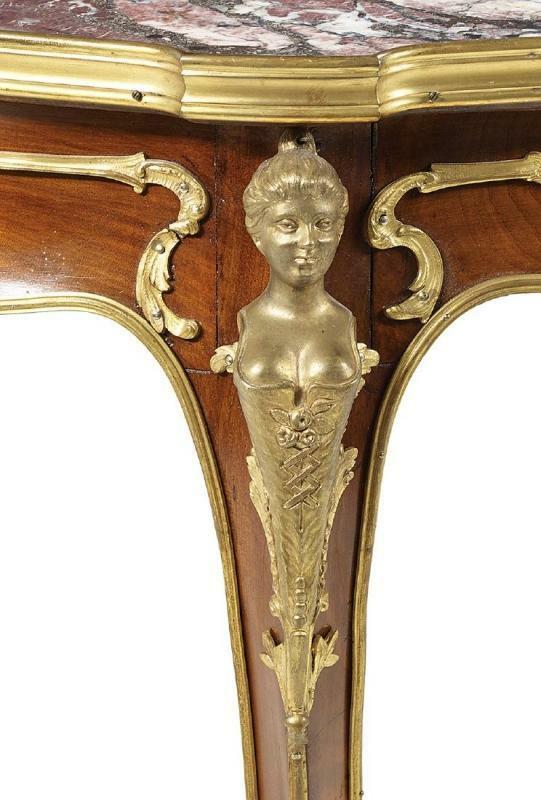 It exhibits the highest levels of craftsmanship, comparable to the works of Francois Linke. 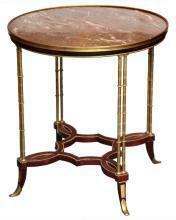 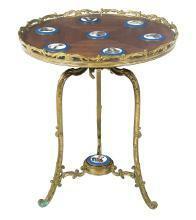 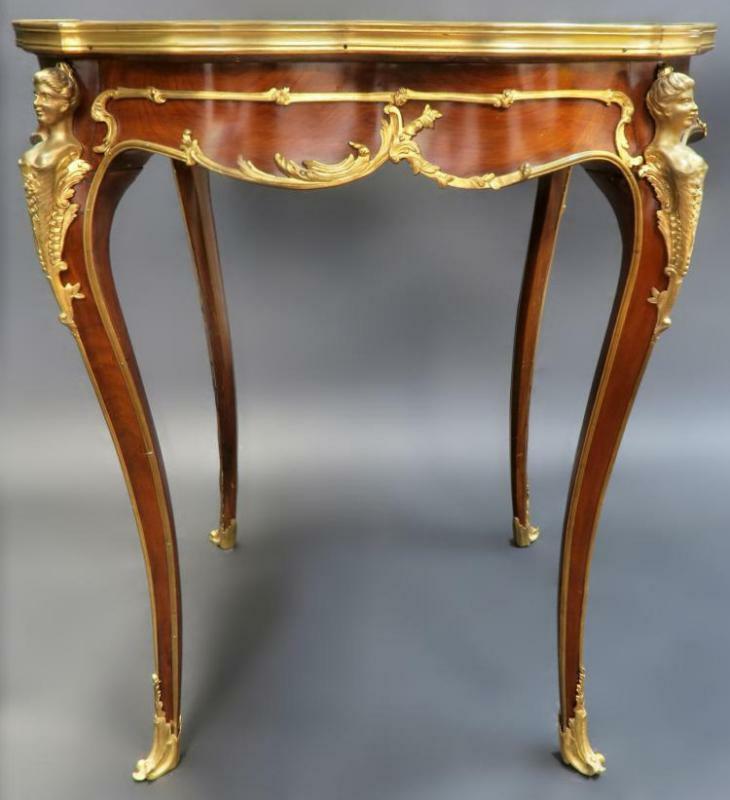 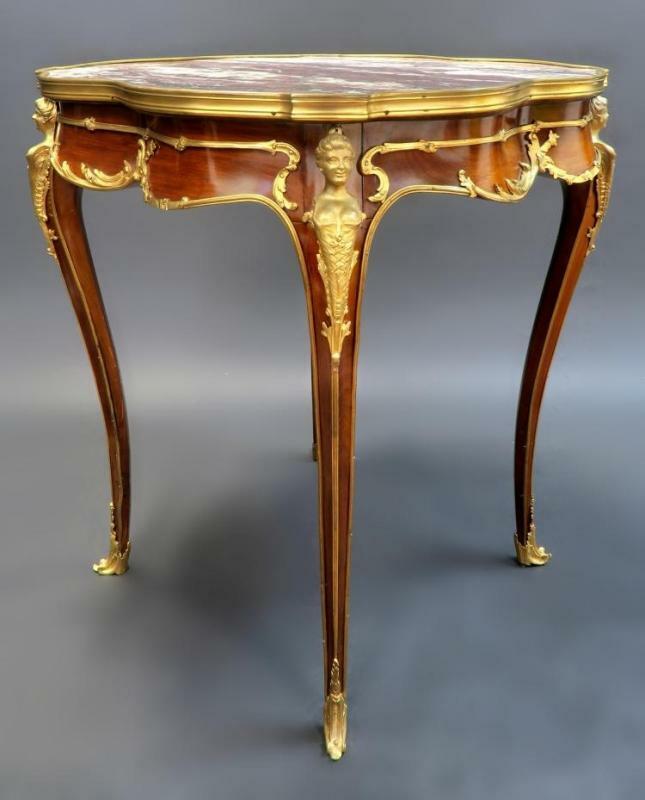 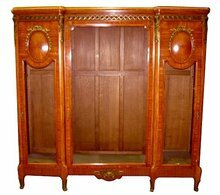 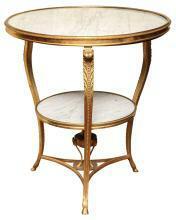 Items Similar To "Antique French Louis XV Style Gueridon Side Table"